I've been singing from the womb and directing choirs and vocal groups and helping individuals from beginner to intermediate just like you for the better part of 18 years. I LOVE to sing and love just as much to help people find and fine-tune their sound. I'm going to help identify areas that you are singing harder and not smarter. I've been blessed to sing in many venues and ventures, from the apollo, to the Jacob Javits Center to stages in South Africa and more. Have a sólo and can't quite reach that high note? Know that you have a special sound but can't quite get it right? Are you tired after singing or are you feeling tension? Are you hoarse all the time? I'm here to help! I'm going to help you get the most out of every breath and have fun doing it. We will discover Your sound together and through our sessions you will find that you have much more endurance, range, and vocal flexibility then ever before. I can't wait to start working with you to make you the best version of the Singing You! So what are you waiting for??? Let's Dive In! I'm so excited to be a part of your vocal journey. Let's start with a vocal assessment! Singing should be fun, effortless on the throat, and tension free! I had the awesome pleasure of working with Terry to prepare for a solo. I had taken a great deal of time off from singing and my range and breath were not where they should have or needed to be. Terry made the sessions fun, relaxed, and super enjoyable, so much so that the time seemed to fly by! Long story short, my solo was yesterday and not only was I super confident and prepared, but I received such positive feedback! Someone even recommended and volunteered to have me record and cover the song in a studio! I owe it all to Terry’s patience, time, and God given gift! He is amazing at what he does, and genuinely celebrates every milestone you meet. It’s evident he takes pride in his work and only wants to help make each client the best singer they can be! No matter where you are vocally, I HIGHLY recommend Terry! Really great instructor! Amazingly friendly and has the best attitude! Great Teacher! Very intuitive, patient and informative within the forum of musicality and the realm of music fundamentals! Expect a lot of learning to get done as we move forward onto another horizon! Terry is AMAZING!! The singers from our church really needed help with vocal training and he was so kind and helped us every step of the way. If you really need help vocally I recommend terry. Terry made the vocal lesson feel super comfortable from the minute it started. He talked me through each step and explained how to “sing smarter”. At the end of the session I felt inspired and better prepared! Terrell is great! He knows his stuff and I’m glad he’s helped me with my voice; worked on how to harmonize and my vocal range. Would highly recommend him to literally any & everyone! As a worship director, Terry goes above and beyond to assure every vocal arrangement and singer is equipt to perform songs with excellence. He goes out of his way to attend everyone's individual vocal needs and pushes them to grow in their talent. Time spent training with Terry has never been time wasted. Best director I have yet to encounter. 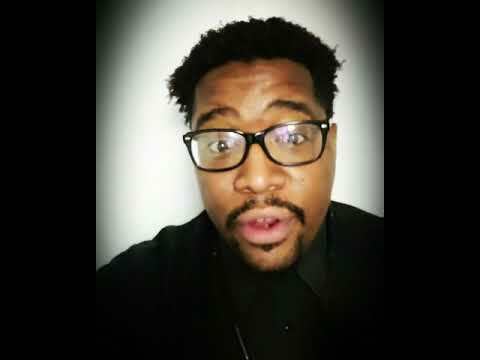 Stated simply, Terrell is the best vocal Coach! We have been working with him for just about 6-7 years, he has taught us how to breath properly, find and keep our notes, as well as giving us excellent tips to warm up. All in all, he is the best. Our worship team would not be at the level it is at now without his help, knowledge and ear. HIGHLY RECOMMEND! Excellent teacher who makes learning fun and easy. A great communicator who knows how to make the complex simple, and teaches vocal techniques that bring immediate results. One of the best vocal coaches I know. Terry is professoinal, passionate, and very knowledgeable in this field. My voice has developed so much, thanks to his help. I ‘ve worked with him for about 7 years and am very happy.